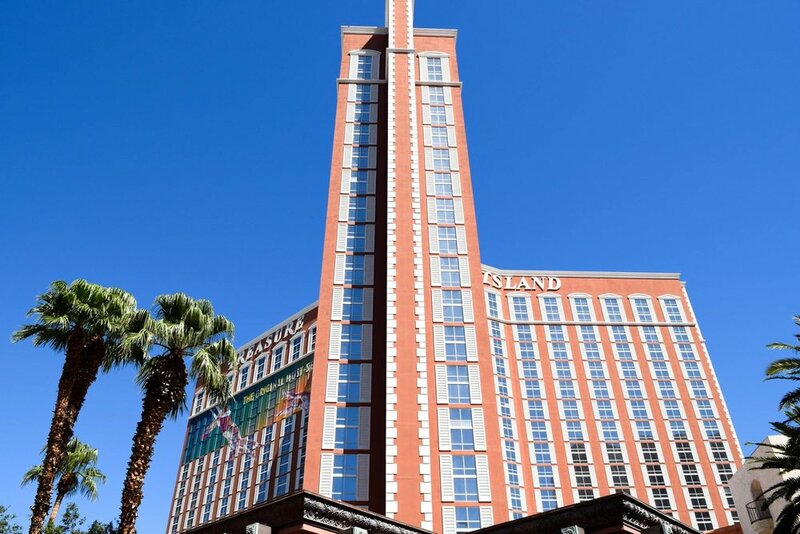 Better known as the “TI, Treasure Island” is a staple in Vegas. Connected by tram to the famous Mirage hotel, it a fun themed adult playground. Location - Treasure Island is located on the Strip adjacent to The Mirage and The Venetian. It is on the southwest corner of Las Vegas Boulevard and Spring Mountain. Theme - Cross and skull bones is the signature marque for Treasure Island. It is a Caribbean exotic atmosphere that has adult-sized fun for the kid at heart. Restaurants - A little of something for everyone, you can have a wild time at Señor Frogs, or settle in for an elegant dining experience at Phil’s Italian Steak House. Phil’s Italian Steak House - Whether you are looking for a chophouse or your favorite Italian dishes, everything served up at Phil’s is done so to perfection. If seafood is your pleasure, they have some of the most pleasurable plates to delight your sensibilities. Seafood Shack - A semi-formal atmosphere, the Seafood Shack touts the best in fresh catches like live Maine Lobster to oysters in a shell. Whatever the catch of the day is, it is sure to catch your taste buds. Giley’s BBQ - Those looking for something a bit casual can find the perfect ambiance to sit back and relax. If honky-tonk cowboys and girls are your things, you will love the dinner and theater, as well as line dancing, a mechanical bull and some of the hottest cowgirls serving it up hot. Senor Frogs - Known for its party atmosphere, things can get a little crazy at this favorite vacation-themed eatery. Strictly Mexican cuisine, it is more about the show and entertainment. 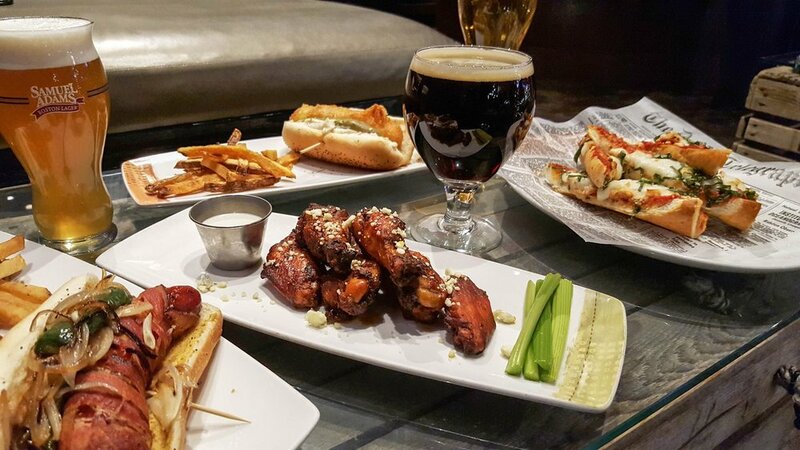 Signature libations and crafted beers make this a favorite on the Strip. The Buffet at TI - An upscale buffet, TI offers the most amazing and eclectic Japanese buffet with a side variety of Asian creations and sushi. Make sure not to skip dessert! The Coffee Shop - When you need a break from the casino action, skip over the the Coffee Shop for a quick cup of caffeine. A relaxed environment, sit back and watch the views poolside. From comfort food to traditional American, it is great for a quick bite. Pho - Vietnamese - Delicate Asian flare, from house specials to noodle soups, Pho is one of the most beloved eateries on the strip. Traditional to eclectic, there is something for even the pickiest eaters. Pizzeria Francesco’s - Traditional New York hand-tossed style pizza, Pizzeria Francesco’s has something that not all pizzerias do, fresh gourmet ingredients baked with love. Little Richie’s - If you haven’t ever had a Chicago-style hot dog, you haven’t lived. From Polish sausages to real homemade french-fries, Little Riches has the best of the midwest, complete with sports paraphernalia and poker rooms. Shows – TI isn't he biggest on the block for shows, but they still have every reason to never leave. Enter the mystical world of Cirque du Soleil Mystère, side splitting laughs with Headliners like Wanda Sykes, Daniel Tosh (Tosh.O), Bill Engvall, Whoopi Goldberg, Raphie May or Adam Carolla, to name a few. Enter the Super Hero world of Marvel Avengers S.T.A.T.I.O.N. The fully immersive experience brings the tactical gear, strategies and classified docs right to you. Clubs and Bars - From Giley’s Saloon to the Mojito Bar, you can get cocktails of every type. Breeze Bar is one of the hoppin'-ist bars at TI, offering premium concoctions and mixed drinks. If margaritas are your poison, the margarita bar is like a kid’s playground. From upscale club atmospheres like High-Limit Lounge, to Señor Frogs, which is more like a party in a glass, there is something to entertain everyone. The Dayclub & Pool- Whether you want just to hang out by the pool, or spend a lazy day in a cabana, TI has the best day “downtime” activities. 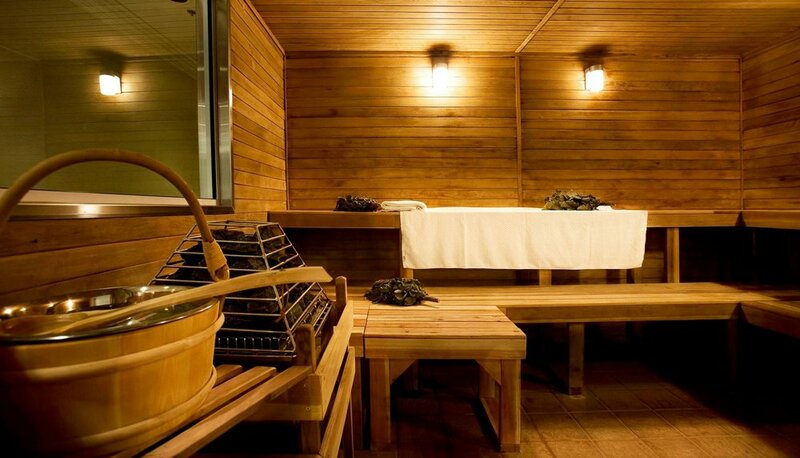 The Oleksandra Spa & Salon is a sanctuary where you can find your solace. A mixture of luxury and soothing environment, it is the perfect place to leave real life behind. Worth the Stay? - Treasure Island has been a staple on the Strip since the 90s. First designed for families, it has recently been updated to be an adult’s playground. Moderate to low priced, it is located in the heart of the action and has everything you need to have a Vegas-awesome stay.